An authentic piece of lighting acting as a decorative is coming your way in the form of this beautiful table lamp will be an amazing fit for your living space. 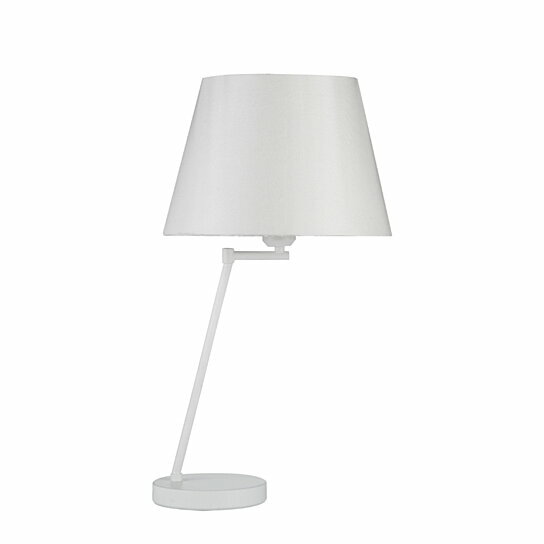 This table lamp is made based on sturdy metal body and fabric with a white color finish, it comes in a empire shape style. The simplicity of the product makes it even useful as it comes with a curved arm for unique look. Requires a 60 watt bulb to light up properly.